Step 2 – Get the link & Code. Step 3 – Tweaking your Link. Step 4 – Server Title & Description. Step 5 – MOTD – Message of The Day. Step 6 – IRC Channel. Most game server administrators run the server simply because they enjoy playing on it. Having your own 32 man public server comes with many advantages… power to kick, ban, choose maps, put fun mods, give admin rights, have private server slots, put up a password for private matches, basically everything a gamer wants. The downfall however, is the cost of operation of a gaming server! As you know by now, servers take up a LOT of bandwidth, 2000 GB per months if they are full time 32 man servers. That doesn’t come cheap and servers survive on donations from team members, players and the odd private slot sale. As we all know, usually donations don’t cover the entire cost of the server and you usually end up paying for the rest yourself. What if it was possible to actually reverse that and actually GENERATE money from the server? Not only would the server pay for itself, thus making it essentially a free server, but could even give you extra income every month for whatever YOU want. Better yet, once you have a self-sufficient server, you can put up another one.. and another one…etc. 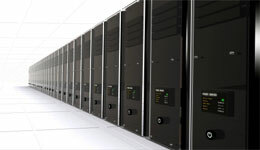 Imagine having a fleet of 15 servers all owned by you, all generating income for you. I’m telling you, once you start having 3-4 servers, EVERYONE knows your name. I know there’s a little ego in there, but when people know you run a few servers, you immediately become THE MAN. If you have a team, this allows you to recruit better players, and if you don’t, then you better believe it’s easy to join pretty much ANY team shall you choose to do so. Who wouldn’t want a server admin that runs 3-4 servers on their team? The one thing that gaming servers have is… gamers. A huge audience of gamers. On a typical day, a server can see upwards to 800 different players, all competing to be the best. They all want the top score, they all want to be the best player on the server and up until now, it was just a matter of spending a lot of time playing. You’re going to capitalize on this and generate a lot of revenue for yourself. You’re going to give them what they want, and make money in the process! In your server message of the day, server description, welcome screen, server website and even IRC channel, you have massive areas that you can use to recommend products. When you recommend a product to a gamer and he purchases it, you get a cut of the profits. This is called affiliate marketing and it is one of the most under exploited venues in the gaming world! 1. Recommend a gaming product and direct the traffic via your affiliate link. 3. You generate money that pays for servers, upgrades and gaming hardware. The absolutely best product to generate huge amounts of revenue is the gaming book called Fragging Fundamentals written by Eric Lancheres. This is an excellent book geared specifically towards FPS gamers that want to improve their game to the professional level. It’s THE reference & training manual for gamers. A review can be found here. It also happens to have the LARGEST affiliate payout of all gaming products available, which is GREAT for generating revenue. For each sale that you recommend, you make $17 USD. Using some simple math… if you have 800 gamers that play on your server daily, and out of those, 50 visit your recommendation daily, and of those 50 you have 2 that purchase the book, you just generated $34 in a day. At $34 per day X 30 days, that’s $1020 generated by your server per month! Doesn’t that sound better than the alternative? Where you have to beg people to donate and pay out of your own pocket to keep the server alive? I’d rather make close to $50000 per year than spend hundreds every month for a server. Once you signed up, you get your own personalized link and affiliate code. Whenever you recommend the Fragging Fundamentals book, you must use the link provided in order to track your sales. This is what says: “I sent you this customer!”. Where the ### at the end is your affiliate number. When you recommend visitors, you must use this link (with your code) in order to identify that you sent the customer. Tweak your own link code to maximize sales and make it easier for people to type. There are two ways to do this and both have the same result. Then save that file as index.php and place it in any directory you want on your webserver. For example, if your team’s website is: http://www.supereliteteam.com, then you would create a directory called frag at http://www.supereliteteam.com/frag/ and place the index.php in the frag directory. This makes it easier for them to remember and to type. So you could send traffic to that easy to remember URL instead of having to remember the long http://www.fraggingfundamentals.com/idevaffiliate/idevaffiliate.php?id=### code. Here’s a template of an email you can send Eric. My name is <insert name> and I just signed up for your affiliate program, Fragging Fundamentals. I would like to have a redirect link created for me on your domain to further promote your book. and if possible, I would like to have http://www.fraggingfundamentals.com/<insert name here> as a redirect URL. Send Email Eric at Fragging Fundamentals an email to request your custom redirect. Once you have your special URL, you should put it in your server title and description. A great way to generate revenue for your team is using your IRC channel. You can put your link there as well, in the title or even the welcome message. Finally, if you have a website or even a forum, you can post a link in there recommending the book. This is one of the best ways to generate revenue for your team. That’s it! You should be on your way to generating massive revenue from these simple steps! Update: A lot of people have been asking where to sign up…. I was just wondering, how much would this cost. I mean you would have to pay for internet, electricity. Oh and by the way, how do you get your own server? What do you need to buy?